After folding the G.I. Joe Adventure Team in 1976, Hasbro sought to give their rugged man of action a massive overhaul. 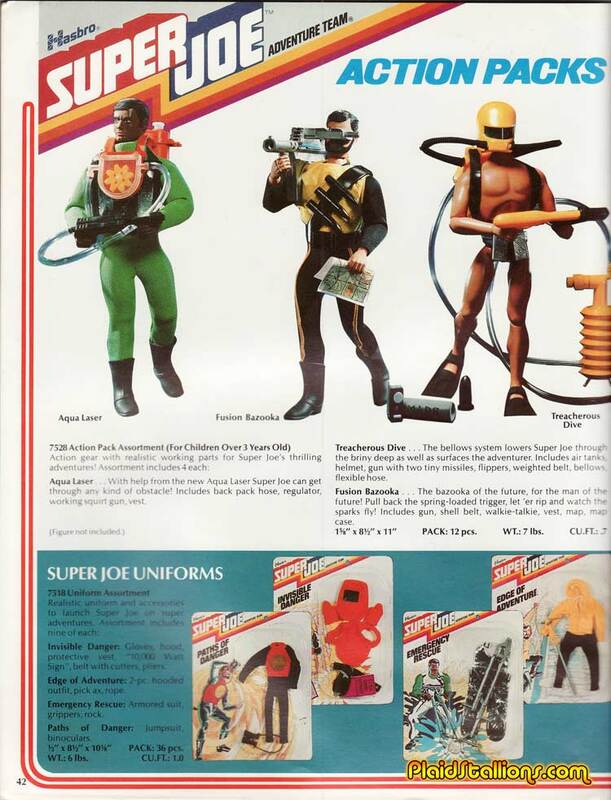 Thus SuperJoe was born, bearing little resemblence to the soldier of the past, Joe had lost four inches of height and the G.I prefix. 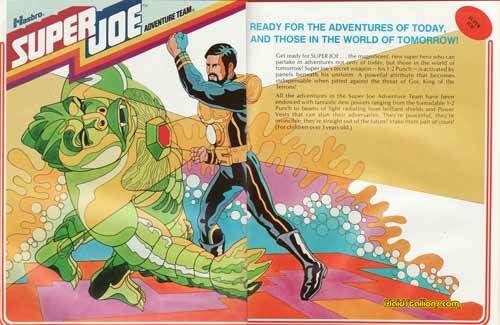 Superjoe was now set in the far off future and (I'm guessing here) on another planet. 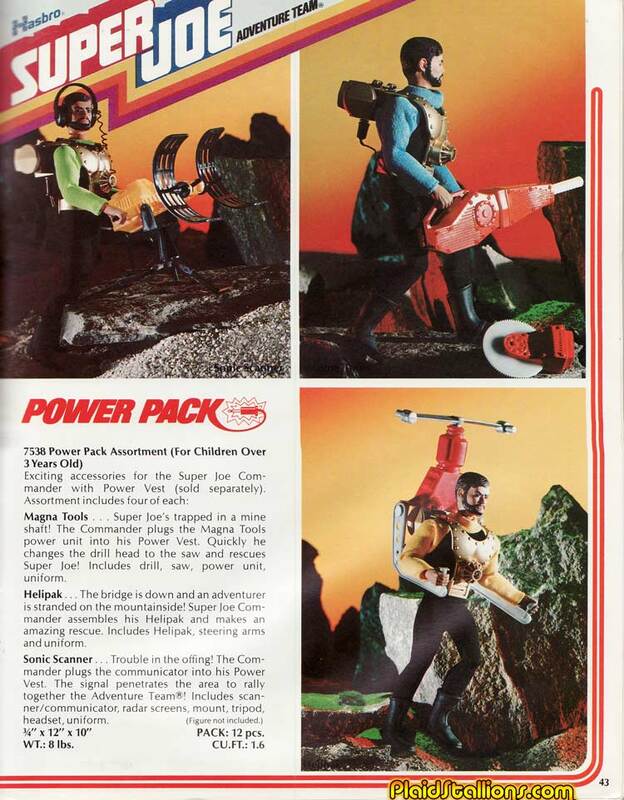 The Superjoe dolls were all electronic and the 1978 campaign was "They fight by night with light" meaning the figures were working penlights. 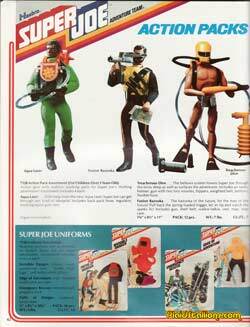 Despite the very trendy Sci-Fi theme, Superjoe failed to gel with kids and faded away after the 1978 Christmas season. The introduction to the Super Joe line introduces a theme : The Super Joe characters beating the crap out of Gor : King of the Terrons. The initial six figures, most of them are hard to find now because their elastics disintegrate. 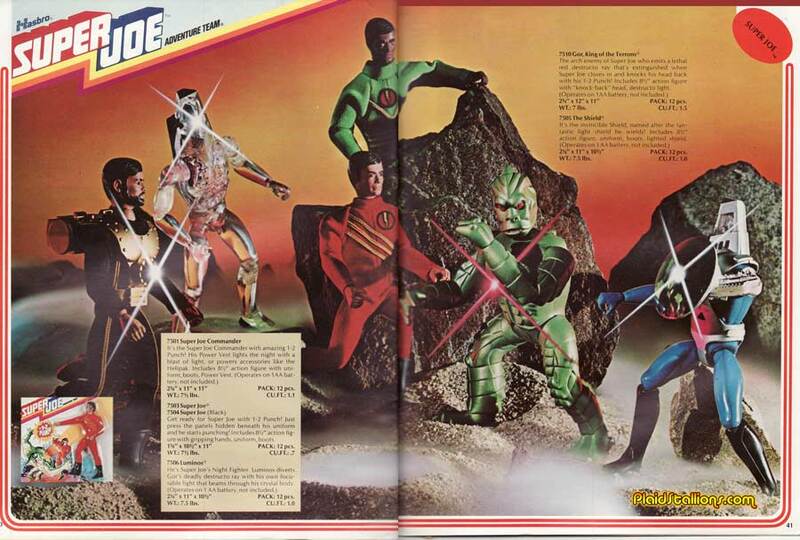 The same GI Joe "Razor and razor blades" concept applied here. 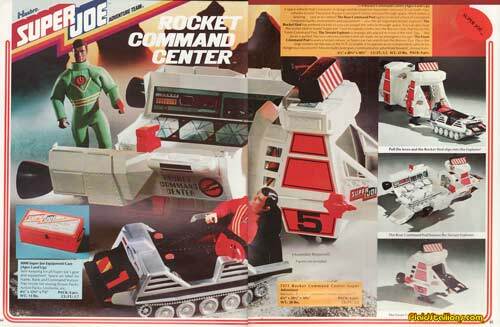 The big Christmas item for 1977 was the Rocket Command Center, a fun and well made toy.